Happy Friday! 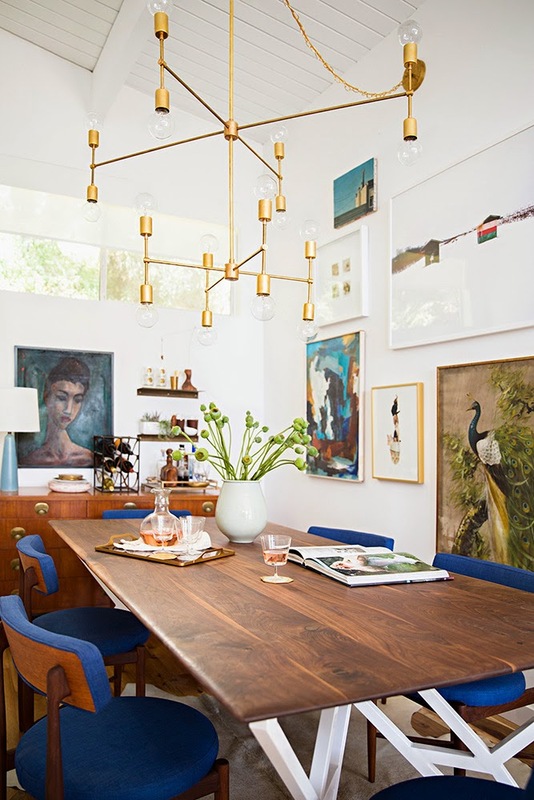 I have a few featured spaces for you today, all from the home of Emily Henderson, designer, stylist, and HGTV host. 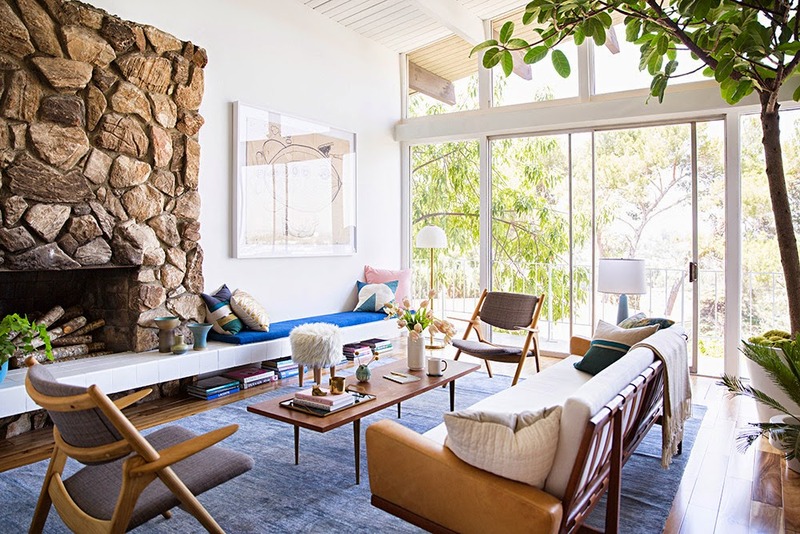 Emily recently completed a makeover of certain rooms in her Los Angeles-area home, as featured in Domino magazine. Here are a few snapshots of her newly-done living room, dining room, and bedroom nursery. 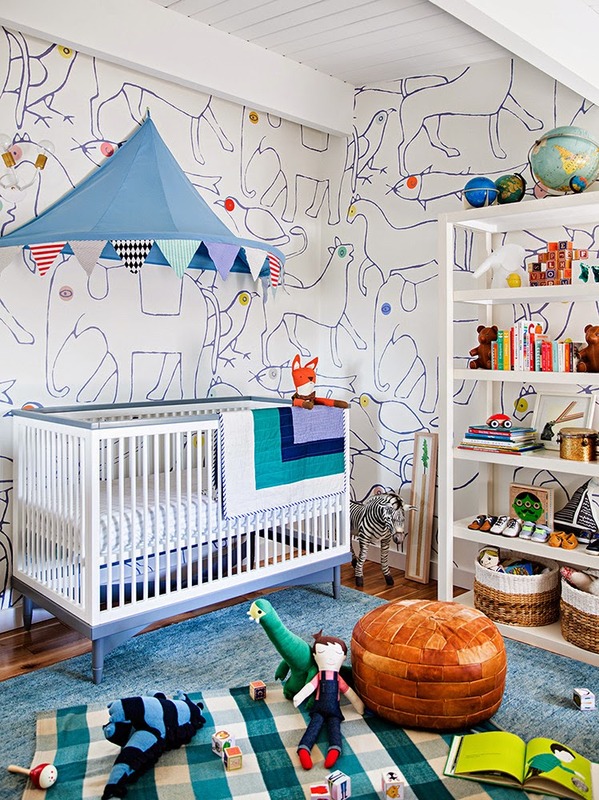 I think her cute son, Charlie, has the most unique and whimsical room in the house! I absolutely love Emily's "mid-century modern meets vintage" design aesthetic. 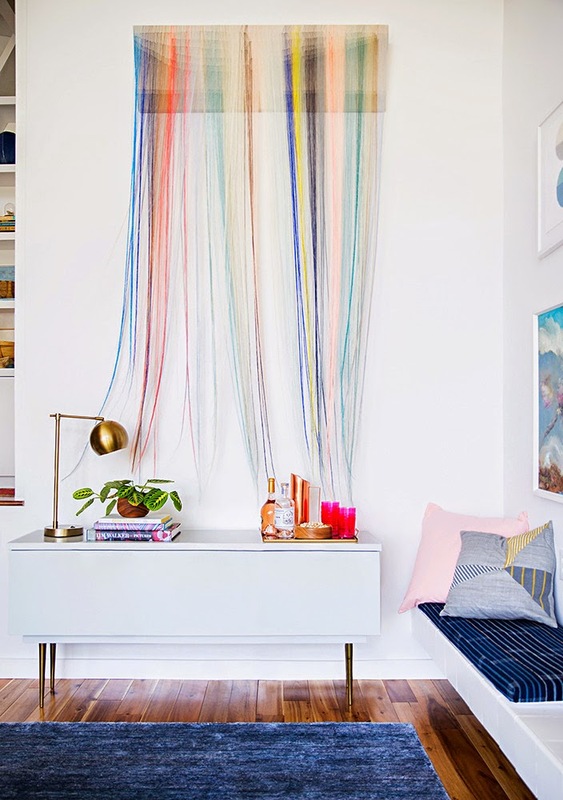 She's great at seamlessly combining high and low, new and old, to all the spaces she designs. She always brings her own unique style to every space - often incorporating that "quirk" that I love in room designs! To see her newly renovated kitchen, click here. And for her guest room makeover, click here.